The Tribox Air is a satellite toll device, with which, in addition to receiving a single periodic charge, you will be able to recover the VAT of an easy and simple way, simplifying the management of each truck fleet. It should be noted that the appliance offers an increase in the number of locations; covering the entire surface of BELGIUM, also acting in Spain, France, Portugal, and soon in Austria and Germany ; besides, with the purchase of this service, you can enable or disable countries at no additional cost. The Tribox Eurotoll satellite device offers other great benefits; such as GPS tracking of each vehicle in the whole of Europe, or the online control panel (hiring geolocation service); benefits with a high safety index for a total control over your fleet. Easy to install, Eurotoll Tribox Air has a maximum period of 5 working days delivery, does not require deposit and gives you the possibility to be linked to another registration number. 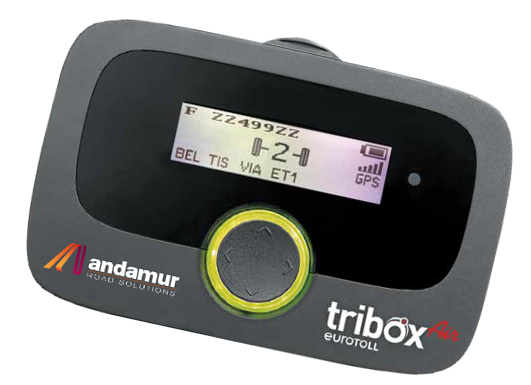 With Tribox Air, Andamur extends its toll devices offer in Europe, thus giving service in a total of 8 countries: Spain, France, Portugal, Belgium, Germany, Italy, Austria and Poland. 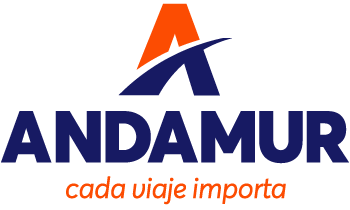 Andamur continues to show a steady growth, with the sole aim of providing facilities to the customer and solutions to the sector needs.